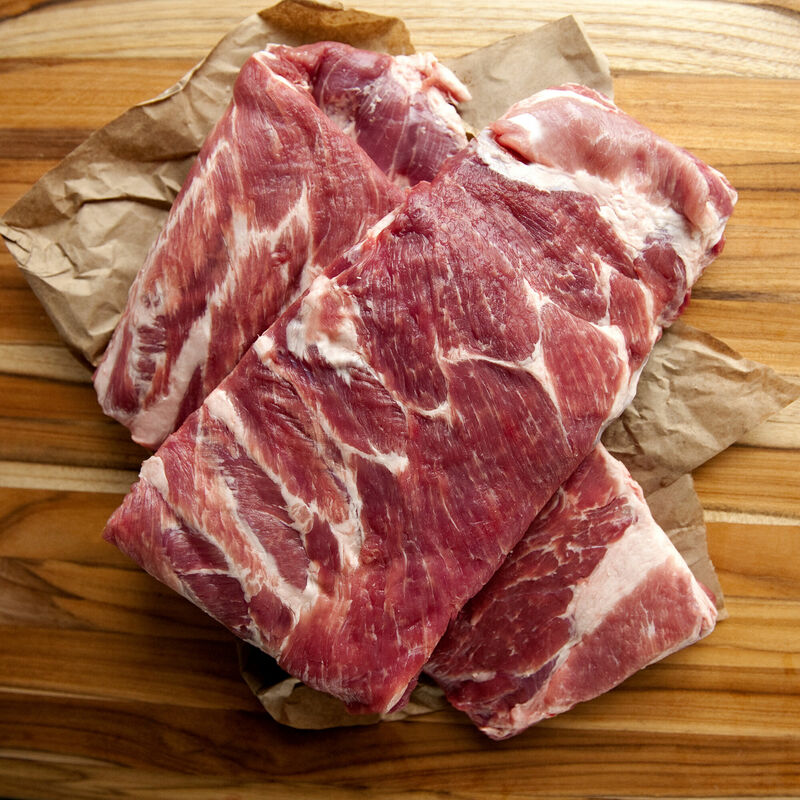 Berkshire pork St. Louis Ribs - also known as Kurobuta pork - from hogs raised on pasture with no antibiotics, added hormones or growth stimulants. Our cooperative of small family farms in the Midwest is dedicated to natural methods, creating the best environment for the pigs, and following strict protocols of humane animal husbandry. This Berkshire-breed pork is exceptionally tender, well-marbled, flavorful and a world apart from the average commodity pork.